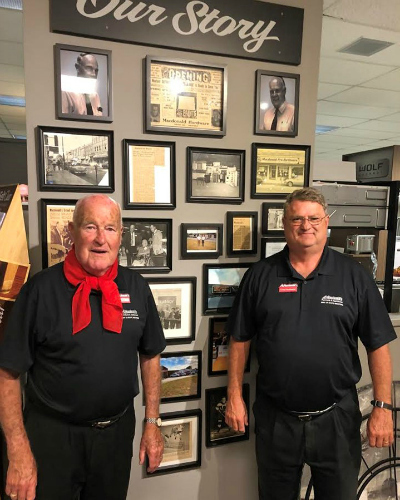 MEAFORD, Ontario – What is today known as Macdonald’s BrandSource here started life 65 years ago as a retail hardware store, but it wasn’t long before brothers Charlie and John Macdonald realised their fortunes were to be found in the furniture and major appliance business. 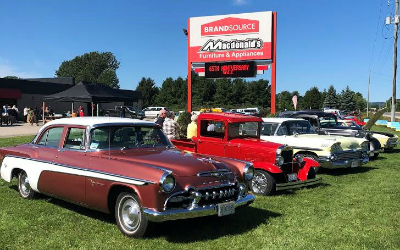 The company, which is now managed by Charlie’s son Greg, held a four-day celebration this past summer that included bar-be-ques, music and antique cars. When they first started, the Macdonald brothers organised sales in the local arena as it was few facilities available at the time to properly display big ticket home goods. The moved into their current location in 1979 – a 42,000 square foot building on the highway, which also serves as this small Ontario community’s main road. When asked, Charlie Macdonald – a well known member of the Saskatoon-based Mega Group – said he was most proud of their reputation for taking care of the customer. At 87, he still spends time each week in the store, greeting his customers. “I just can’t believe it; we knew how to work, and we still do,” was his response when a local newspaper asked him how he felt about the store’s 65th anniversary. In a prominent place within the store there’s a display wall detailing the Macdonald’s history, including the original articles of incorporation and seal and certificate along with images from their archives. Charlie’s son, Greg, is now president of this growing business, assisted by his son Tommy and grandson Hunter. These days, Macdonald BrandSource sells their products and services to a mix of clientele from permanent residents to those who have seasonal retreats in the southern Georgian Bay area. Being just over an hour from the largest market in the country – the Greater Toronto Area – gives them additional growth opportunities. “To organise our 65th celebration we determined to ensure there were events that involved the entire family. This is something that extends from our family to the families of our customers,” Greg Macdonald said. The four-day event included a local DJ with space in the parking lot for folks gather, listen to the music and enjoy food from the BBQ. At various times there were over 450 people in the store. One highlight was a visit from the Golden Town Cruisers, who showcased a collection of cars from the 1930s. 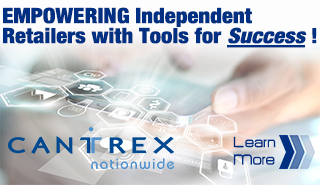 Greg Macdonald made a point of noting a major part of their success has come from the relationships they have developed with their vendor partners. “Being part of the MacDonald’s family is very important to us here at Springwall,” said Jack Szendry, sales manager of Springwall Sleep Products. During his four years as president, Greg Macdonald has spearheaded several changes to the single-unit independent retailer including expanding the brand assortment in his appliance department, which now features names like KitchenAid, Wolf, Sub Zero, Whirlpool, Maytag, Fisher& Paykell, Electrolux, Frigidaire Professional, GE, Bosch, and Bertazzoni. He also added an outdoor cooking shop, where the show Napoleon Grills, Big Green Egg and other product lines. Another recent addition is the sleep shop, which features assortments from Beautyrest, Springwall and Tempur-Pedic. He has also added several galleries to the furniture department, from La-Z-Boy, England Upholstery, Palliser and Signature Design by Ashley. In addition, they have expanded their upholstery assortment from Canadian producers such as Décor Rest, Superstyle and its sister company, Trend-Line. The marketing plan for the anniversary event included both traditional and digital media. MacDonald’s was featured on local radio and developed a special flyer as part of the event package. The plan also included targeted e-mails; Facebook marketing; the distribution of 75,000 direct mailers plus $20,000 in product give-a-ways.